“The Knesset Lobby to Reform UNRWA” held its second session on Monday, Nov. 27, at the Jerusalem Hall in the Knesset, chaired by MK Sharren Haskel, who has taken the leadership to demand full disclosure, accountability and transparency from donor nations who render $1.2 billion of assistance to UNRWA, an agency which seems to promote “Palestinian refugee life in perpetuity”, for the families of Arab refugees from the 1948 war. 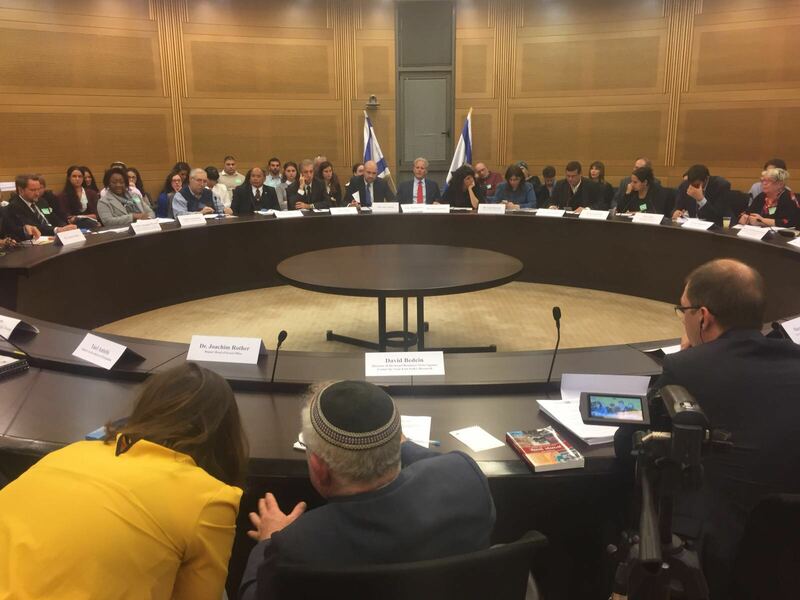 MK Haskel, joined on the podium by Deputy Foreign Minister Tzipi Hotovely, Deputy Minister in the Prime Minister’s office, MK Michael Oren, MK Yehudah Glick and MK Amir Ochana, also welcomed diplomats from 12 countries. MK Haskel, in her opening remarks, dispelled the notion that the new lobby wants to get rid of UNRWA, which cannot be done without United Nations General Assembly approval, which will never happen. Lt. Col, Jonathan D. Halevi, http://israelbehindthenews.com/power-point-anatomy-of-hamas-takeover-of-unrwa/7888, an intelligence analyst who for the past 19 years has provided research on the Hamas takeover of UNRWA operations in Gaza, provided his latest research on the Hamas-UNRWA connection.